Microflex engineers are more than willing to provide technical support in order to analyze an individual component and/or a full system. 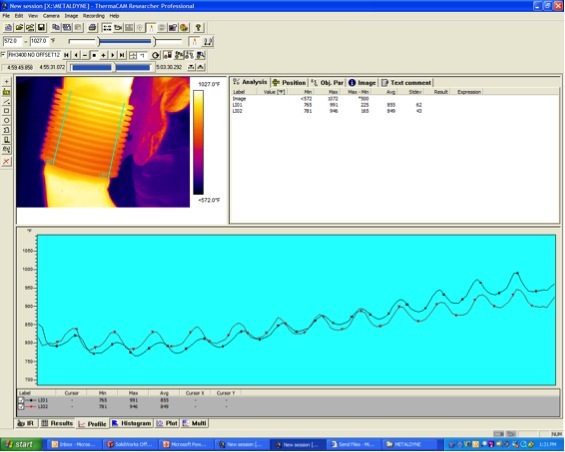 The analysis can be done in the field or on-site at Microflex, and our engineers are well versed in many troubleshooting techniques such as; modal analysis, thermal imaging equipment, FEA, cycle testing, failure analysis, and visual analysis. By using the analysis results and our own technical expertise, our engineers can aid in the re-design of an existing part or in designing a completely new part to meet the system. Microflex is capable to design and build their own test equipment and maintains a strong, working relationship with local A2LA certified laboratories. Microflex’s in-house welding and CNC machining centers can be used to expedite the analysis and prototyping process. We have a dedicated lab and automotive lift that we can use to help with your troubleshooting needs. Customer quality specifications are ensured through the use of Design and Process Validation, AIAG PPAP requirements, statistical analysis methods, automated inspection equipment, and cross functional APQP teams. Microflex is well versed in problem solving techniques, such as the 5 Why, 8D, and problem prevention tools such as Poka-Yokes and DFA.